The Sight of Sound: Review: Tegan and Sara - "Heartthrob"
Review: Tegan and Sara - "Heartthrob"
In late January, Canadian sister-duo Tegan and Sara released their seventh studio album, Heartthrob. Below are the quick details. Why: When you have multiple studio albums to your credit, the question inevitably will come as to whether or not to tweak your sound. To the sisters' credit, that's exactly what they did with Heartthrob. There hasn't been an album that has come around in a long while that sounds nothing like an artist's previous releases, while also keeping their same mentality. Acoustic tracks are nowhere to be found here while EDM backdrops and 80s influences are heard mostly everywhere. It was a daring move - but it paid off. It was a refresher for the band, but at the same time showed how talented they are. Make no mistake, this is one of the most upbeat releases you will hear this year and could challenge pop radio for air time. But what makes it stand out is that it is also deceptively dark. While there are moments of intense passion ("Closer") there are also moments of pure heartache ("Now I'm All Messed Up"). Five star ratings don't go around often and I'm sure there are plenty of people who will disagree with me on this. Newer fans may feel it's a bit too generic upon first listens while older fans may feel turned off with the dramatic change of sound. Both are valid opinions to have but what I feel gives it the perfect rating is the dare they made for themselves and the ability to jump head first. And make some outstanding tracks while they were at it. So if you want a short, to the point review of this album stop reading after this paragraph. I'm sure most of the people who clicked on a link to this will have their own opinion anyway. But if you have the time, scroll a little more to see why this album is truly special (in my opinion). When it comes to music listening, I prefer to have experiences. Sometimes that means a single song that can have a lyric that sticks with you and makes you immediately press rewind. Sometimes it means a concept album, where characters play out parts like a production carried out in the listener's ears. Other times it just simply means getting lost in the songs from the first to the final track. Heartthrob contains all those elements. But what really gets me about this album, is how across ten songs (excluding the bonus tracks) there is a wide range of emotions. And those emotions reflect exactly what anyone who has ever been in a passionate relationship that for whatever reason just didn't work out has experienced. The album goes through all the phases, though not necessarily in order. First, there comes the intense passion. The part where you want to keep conversations going even if you have nothing to say. Or spend time with a person even if all you do is end up staring at each other's eyes. It's like in (500) Days of Summer when you first see Tom talk about all the things he likes in Summer. This is heard in "Drove Me Wild" ("When I picture you I think if your smile / And it drives me wild / Your laugh escaping you, your head thrown to the side / And it drives me wild). When it gets time for action to take precedent over words, that's when "Closer" comes in. ("All you think of lately is getting underneath me / All I dream of lately is how to get you underneath me"). If things continue, eventually the "L" word gets thrown around. It's a scary area that involves putting yourself out there for another person to see. In "Love They Say," Tegan and Sara do an amazing job of taking simple lyrics ("The first time you held my hand, I knew I was meant for you / The first time you kissed my lips / I knew I was meant for you") and singing them in a way where you can feel the desperation, as if one person is trying to convince the other that something is going on between the two. / Knocked your heart right out of sync"). And while it can be of no direct intention, the other person in the situation can often make you feel as if there's something there when there really isn't. It could be because they are confused and trying to figure things out themselves, but it still comes off as one-sided as heard in "How Come You Don't Want Me" ("How come you don't want me now? / Why don't you want to wait this out? / How come you always lead me on, never take my call, hear me out?"). Then comes the end. No matter if it's at the hand of the heartthrob or not, inevitable heartbreak occurs. This gives way to reflection, and songs like "I Was a Fool" show that the lover may not necessarily be innocent in the entire scenario, even if their only crime was wanting to capture the idea of being in love ("If you’re worried that I might've changed, left behind all of my foolish ways / You best be looking for somebody else, without a foolish heart"). But when it's over, is it really over? Again, showing the brilliant musical stylings of Tegan and Sara to take a simple idea but make it something so much more powerful, the song "Now I'm All Messed Up" captures all those honest moments in a simple "Go / Stay" back and forth found toward the end of the song. A wildcard is thrown in when a situation comes up that most don't think about. Most times your relationship is going to be known by other people and often times those people can become a part of your relationship. They pull you in different ways and try to influence you, to the point where sometimes a relationship can either be held together or ended too soon because of outside influences. For me, this is where "I'm Not Your Hero" comes in ("Sometimes it feels like the side that I'm on, plays the toughest hand, holds the longest stand / Sometimes it feels like I'm all that they've got, it's so hard to know I'm not what they want"). Finally, there comes to the time to move on - "Goodybe, Goodbye." The anger that comes from realizing there was never a shot to begin with ("You coulda warned me, knowing there was nothing I could do to change you") and the acceptance of knowing that it's over because of very valid reasons ("You never really loved me, never really, never really loved me, loved me like they did"). 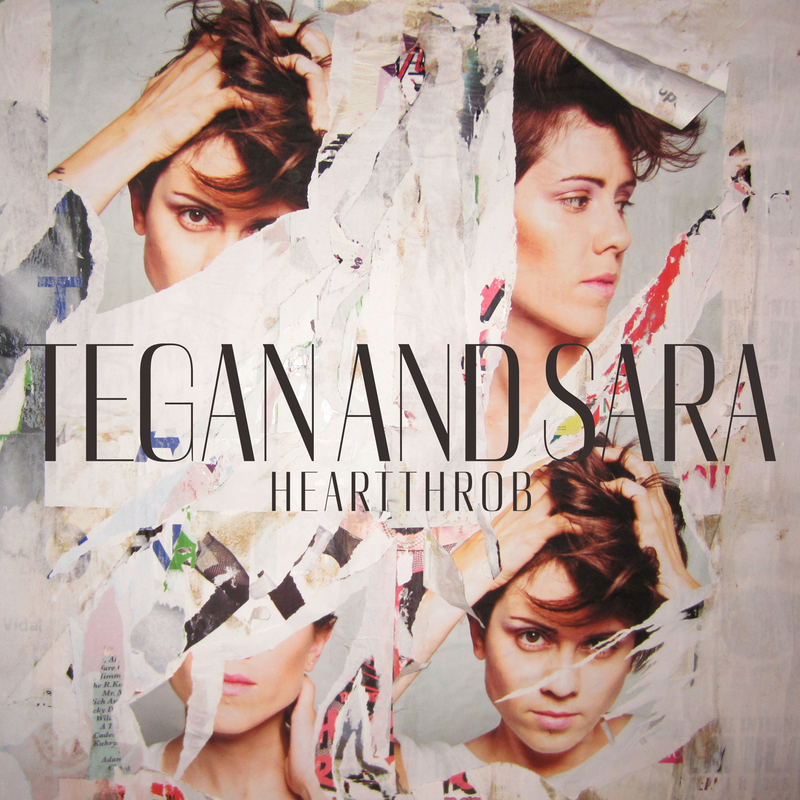 So in the end, Heartthrob is a rollercoaster of emotions that can make you dance with tears in your eyes. On the surface - it's a party record, good driving tunes and some easy listening. Dig a little deeper and you find a great story excellently told and very much worth listening to. And those are the best kinds of albums. Good review as always Matt. Did you enjoy the Grammys?